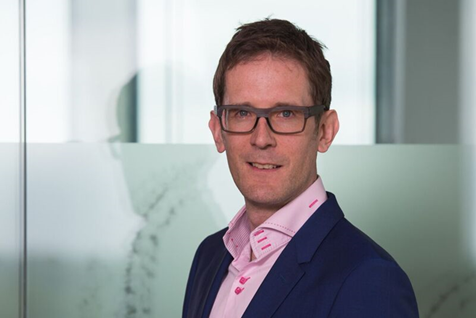 In order to further strengthen our experience and expertise, OPEN Health has appointed Gavin Jones in the newly created role of Director of Rare Disease. Gavin will work in close partnership with all of the OPEN Health agencies, to drive our existing and future partnership with customers working in this growing area. Gavin joins OPEN Health with twenty years of biopharmaceutical industry experience across numerous roles involved in market access, therapy launch and patient centric services. Throughout his career he has developed experience and a specialist interest in Rare Disease supporting many therapies as they have been commercialised within Europe. He is passionate about supporting optimal patient outcomes through effective therapy awareness, patient activation and treatment pathway improvement. Commenting on his appointment, OPEN Health joint CEO Sandy Royden said, “We are delighted that Gavin has joined us to further strengthen our partnerships with customers in Rare Disease. Creating a unique role within our field of expertise will enable us to offer a market leading position in supporting our customers work towards greater access and uptake of their innovative and much needed treatments. The OPEN Health agencies offer a complementary blend of capabilities that fully meet the bespoke needs of our customers in this area. We already have significant experience in Rare Disease and Gavin’s appointment will allow us to reach even higher levels of coordinated expertise across all of our agencies’’. For more information about OPEN Health, please visit our website, or get in touch with us on 01628481112. To speak with Gavin, please email sandyroyden@openhealth.co.uk. Our office hours are Monday through Friday 9.00-5.30pm.